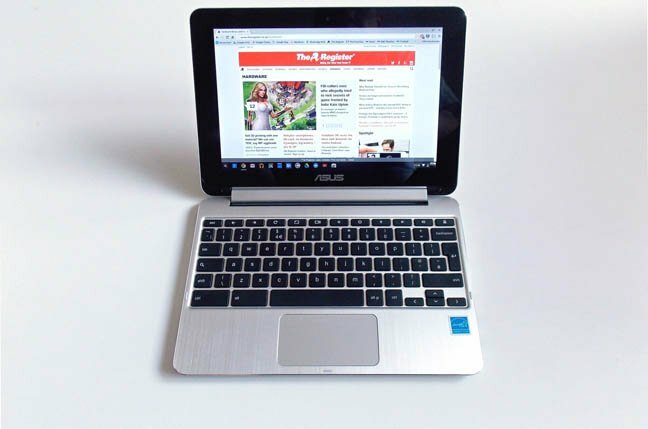 Review Asus’s new Chromebook Flip isn’t the first touchscreen Chromebook we’ve fondled here at The Register. That accolade belongs to the Lenovo N20p. 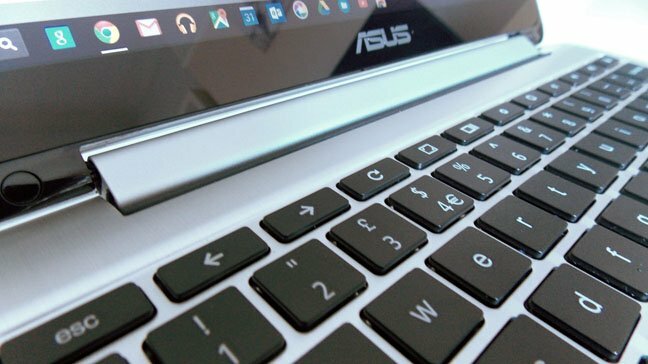 But since the N20p has been discontinued in the UK, Asus needn't worry about its new convertible being overshadowed by it. Of course, the fact the N20p lasted less than a year before Lenovo yanked it may also suggest machines like it and the Flip are answers to a question nobody is asking. My first impression of the Flip was how surprisingly small it is. That’s largely down to it having a 10.1-inch display rather than the more usual 11.6- or 13.3-inch affairs found in other Chromebooks. The upside to having a small screen is how diminutive the whole device is. The Flip weighs a piffling 890g and is only 15.6mm thick. Laptops don’t come much thinner or lighter. The downside is that there is a reason laptops don’t come this small or thin. When they do, they are – or were – called netbooks. Whether or not you think this is the right size for a Chromebook depends on what you plan doing with it. Considering the inherent limitations of Chrome OS – it’s a thin web client and not a whole lot else – do you need a larger screen? Possibly not. Though if I was buying a Chromebook, it would be because I wanted a cheap laptop; in my book that means at least 11.6, but preferably 13.3 inches, between the corners. If you plan on replacing Chrome with a Linux distro then a larger screen is probably what you’ll want. On the subject of Linux, I spent an entire afternoon trying to get Linux onto the Flip using Crouton and failed utterly. The Flip’s screen is a pretty good one. The gloss-finish IPS panel is colourful and bright and viewing angles are impressively robust. The resolution of 1200 x 800 is, however, nothing to get excited about. Tablet mode, if you must. 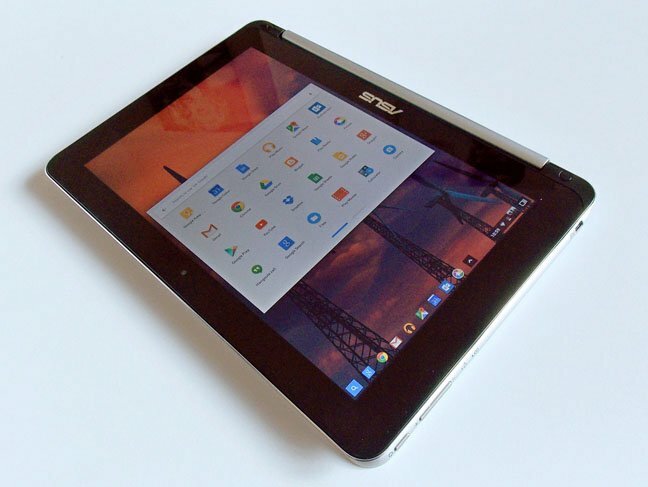 But why not buy an Android tablet? Should the resolution be higher? In this age of reasonably affordable Android tablets with 1920 x 1200 displays, the case could be made. Still, I have say that, in terms of clarity and sharpness, the Flip’s display looked just fine to my eyes. There’s quite a lot of bezel on show around the screen though, which rather spoils things. The Flip’s lid wouldn't have had to be made all that much larger to fit an 11.6-inch panel into it.